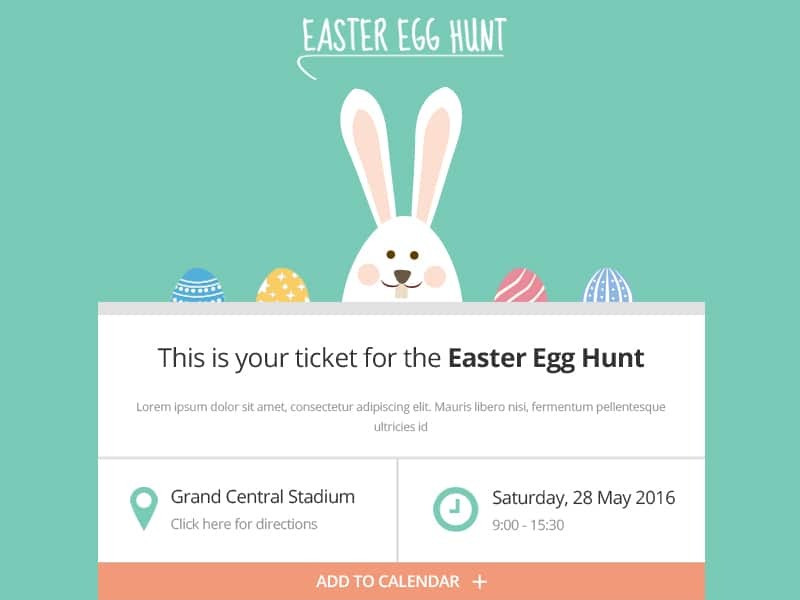 Easter is a FooEvents Ticket Theme that can be used to change the appearance of your email tickets. To use one of our ticket themes, simply purchase and download the theme, browse to ‘Tickets > Ticket Themes’ and upload the zip folder to your website. 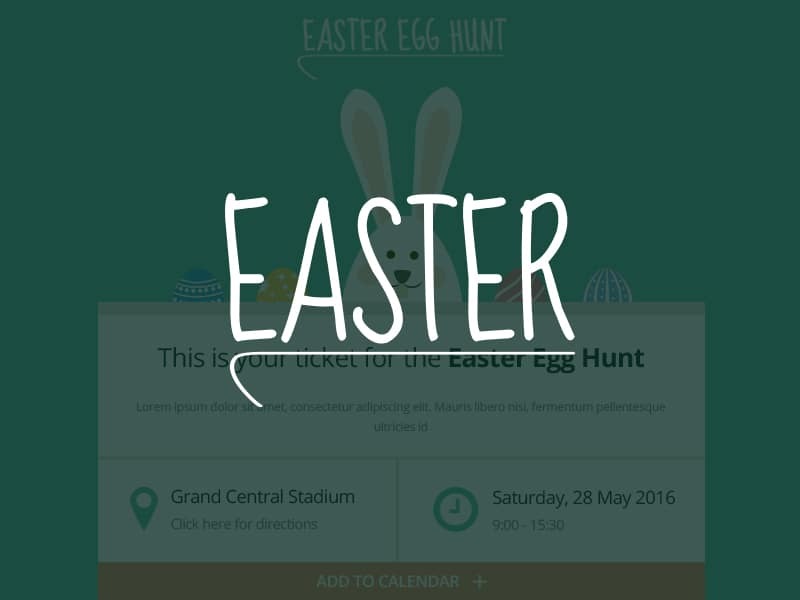 Once uploaded, you will be able to specify the ticket theme to be used for each event.